Pastor Wong's sermon today was from John 21:15-25 on the restoration and reinstatement of repented fallen Christians. He began by giving reference to the early Christians who recanted on their faith in the presence of severe persecution. This reminded me of what I read in William J. Bennett's Tried by Fire, the Story of Christian's First Thousand Years (which I am still reading). I have read before about the great persecutions that happened in the harbinger days of the Early Church, and about Christians who suffered greatly physically, mentally and emotionally but persevered through, even martryed. 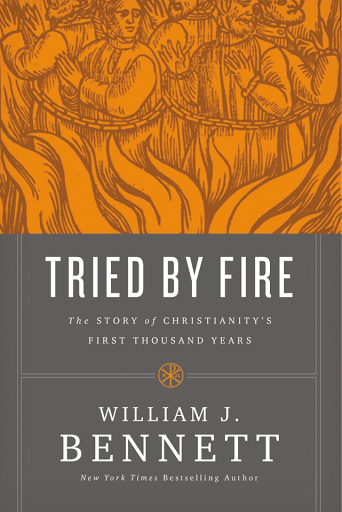 It was only when I read this book that I found out that the Early Church had to go through the aftermath of those persecutions and what they should do with Christians who had recanted to save their lives from being massacred but returned hoping to be reinstated into the church. For example Bennett wrote, "Such sustained violence had major repercussions for the church...the church divided on the question of what should happen to those Christians who had denied the faith or sacrificed to the emperor under threat of death. Many others had simply fled to safer places, where the persecutory decrees were not as widely enforced. Some Christians accused those held in prison of being show-offs. The church in Alexandria underwent a schism on the issue of whether they should readmit the lapsed into the church." Coming back to today, what do churches do with fallen but repented Christians especially leaders and pastors? Most churches do have a restoration process in place but what about reinstatement? Pastor Wong takes to a reinstatement of such pastors and leaders as how Jesus had restored and reinstated Peter at the Galilean beach. In the calling again of Peter here, he was reinstated to his pastoral duty and care of the flock, the main duty of a pastor in feeding, caring and discipline. This is not easy. A church can split in the reinstatement or abrogation of a fallen pastor's ministry, both ways. What I say is that we must be grateful of God's grace most of all. We are so unworthy of him but he still loves us so much to receive us in whatever state we are in as long as we come back to him acknowledging our brokenness. Who are we to judge when God is the ultimate judge but who is also love? I have heard another view. Because pastoral leadership of a church is a public ministry, esp with regards to adultery, so called "big sin" inflicting hurts to a wider community, they are not allowed to be reinstated. Good point in thinking on a bigger picture, and biblically supported too. This is a tough matter really. I have been involved in three instances where a pastor was removed. In each case the pastor did not acknowledge the authority of the elders who led the church. Sadly, the humility needed for reinstatement is not often there. That is true. Repentance and humility had to first happen.